Passaic Class Monitor: Displacement: 1,875 tons. Dimensions: 200 x 46 x 10.5 feet/60.96 x 14.01 x 3.2 meters. Propulsion: Ericsson VL engines, 2 boilers, 320 hp, 1 shaft, 4-5 knots. Crew: 75. Armor: Iron: 3-5 inch sides, 1 inch deck, 11 inch turret. Armament: 1 dual turret with 1x15 inch Dahlgren smoothbore, 1x11 inch Dahlgren smoothbore. Operational and Building Data: Built by Atlantic Iron Works, Boston, Mass. Launched 6 December 1862, commissioned 26 February 1863. Saw extensive service around Charleston. Decommissioned to reserve 24 June 1865. Renamed Medusa 15 June 1869, then Nantucket 10 August 1869. Briefly recommissioned from 29 July 1882 to 12 December 1882 and again 16 June 1884 to 6 October 1884, returning to reserve when decommissioned. 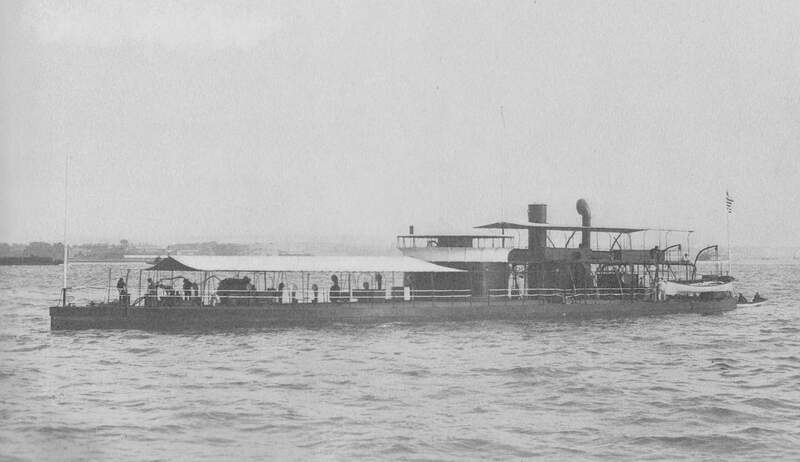 Loaned to the North Carolina Naval Militia 1895. Apparently recommissioned for Spanish American War service; dates unknown. Fate: Sold for scrapping 14 November 1900. 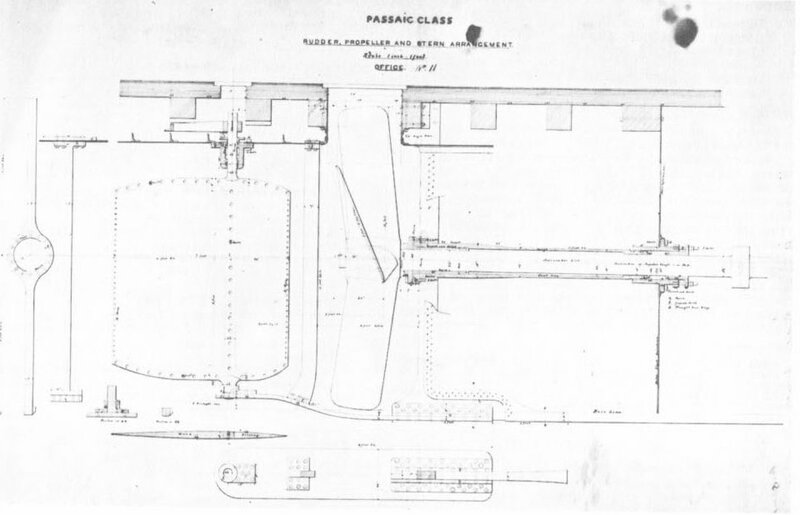 39k Plan of turret for Passaic class monitors. 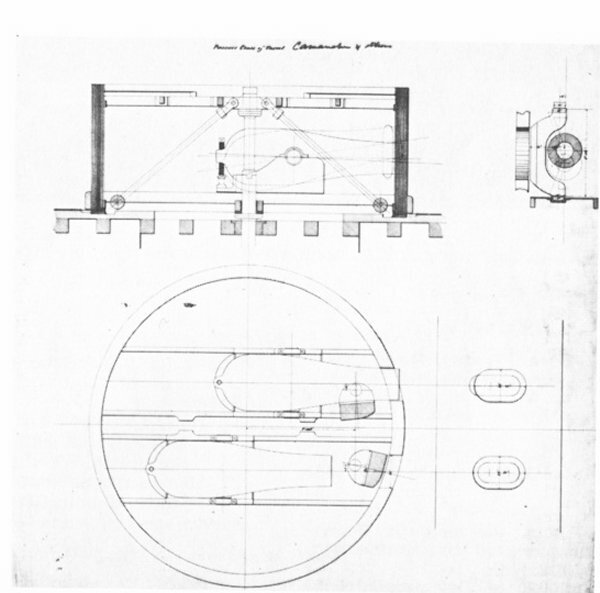 The port stoppers can be seen clearly in this drawing. Photo courtesy of "Monitors of the U.S. Navy, 1861-1937", pg 11, by Lt. Richard H. Webber, USNR-R. (LOC) Library of Congress, Catalog Card No. 77-603596. 61k Propeller and rudder arrangement of the Passaic class. Photo courtesy of "Monitors of the U.S. Navy, 1861-1937", pg 13, by Lt. Richard H. Webber, USNR-R. (LOC) Library of Congress, Catalog Card No. 77-603596. 107k "Panoramic View of Charleston Harbor. -- Advance of Ironclads to the Attack, April 7th, 1863" Line engraving published in "The Soldier in our Civil War", Volume II, page 172, with a key to individual ships and land features shown. U.S. Navy ships present are (from left to center): Keokuk, Nahant, Nantucket, Catskill, New Ironsides, Patapsco, Montauk, Passaic and Weehawken. U.S. Naval Historical Center Photograph # NH 59269. 66k Lithograph of the Nantucket, by Endicott & Company, New York, published circa the mid-1860s. Courtesy of Charles Moran, 1935. U.S. Naval Historical Center Photograph # NH 1353. 963k Low resolution of the Nantucket photographed circa the 1880s or 1890s, high resolution here. Low res photo via U.S. Naval Historical Center Photograph # NH 66760-A. High res Photo from The American Navy with Introduction and Descriptive Text - Reproductions of Photographs - Belford, Middlebrook & Co. - Chicago, 1898, submitted by Thomas Becher. 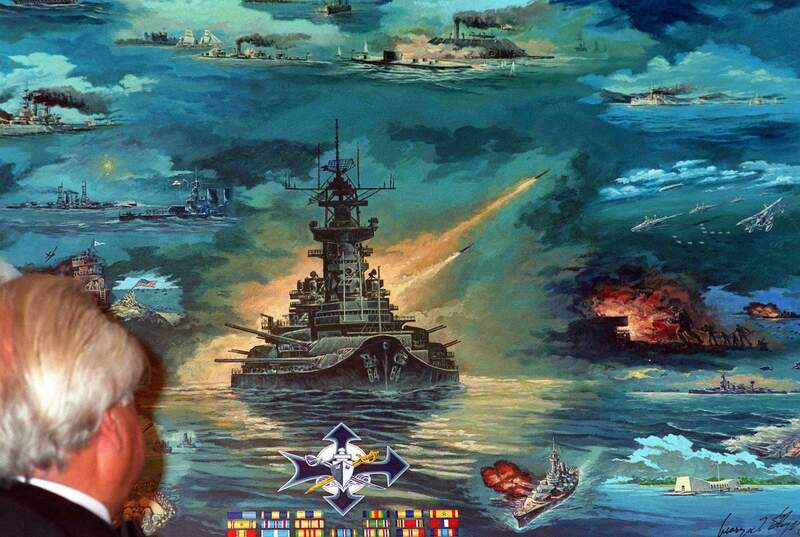 71k Civil War Ironclads at Sea. Chromolithograph by Armstrong & Company, after an 1893 watercolor by Fred S. Cozzens, published in "Our Navy -- Its Growth and Achievements", 1897. Ships depicted are (from left to right): Monadnock class twin-turret monitor; Passaic class single-turret monitor (in foreground); Naugatuck; Keokuk; New Ironsides and Nantucket Collection of Captain Glenn Howell, USN, 1974. U.S. Naval Historical Center Photograph # NH 464-KN. 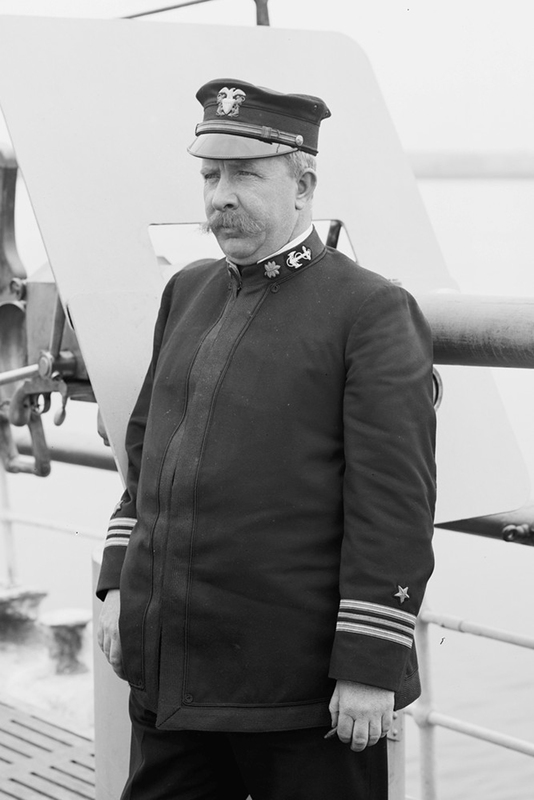 442k CDR Harry H. Hosley in command of the Nantucket in 1893. PDF article regarding the perilous trip to North Carolina to turn the Nantucket as a training ship. Detroit Publishing Company & PDF courtesy of Bill Gonyo.